I’ve waited too long to jump back into the Telltale version of Pandora and finally episode 2 has released! Just like every game made from Telltale, you have to wait patiently for each episode to release when you finish one and episode 2 of Tales from the Borderlands definitely took some time. Episode 2 starts off literally where the first episode ended and has the crew discussing a plan of what to do with what they found. There is a pretty cringing scene with Fiona that is gruesome and hilarious at the same time. 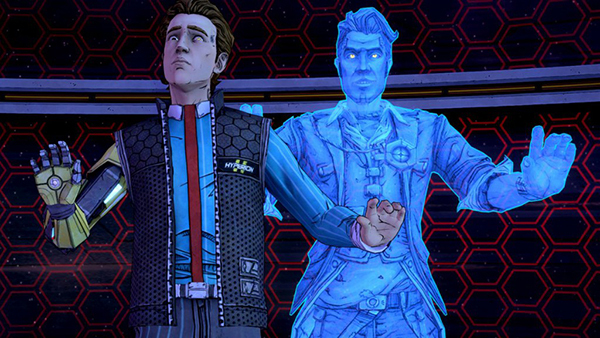 Rhys is busy getting all buddy buddy with Handsome Jack learning some insight of his own. Soon after they all leave in Felix’s vehicle while trying to escape being blown to bits and eaten at the same time. This is where an unwanted separation happens during the chase scene between Fiona and Rhys where they have to take different paths. Fiona and Sasha seek out Felix’s old hideout for clues or a reason as to why he did what he did in episode 1. Shortly after arriving at Felix’s, another awesome chase scene endures with the girls running from Athena and some bounty hunters. 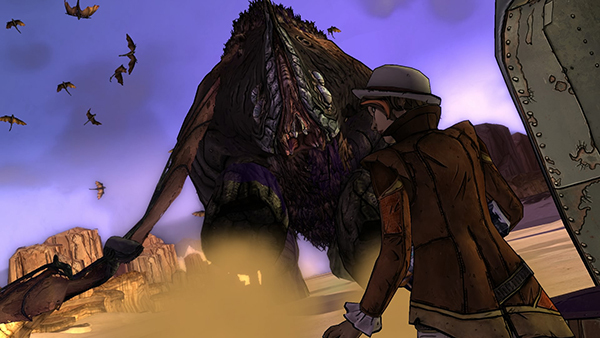 Rhys and Vaughn are stranded in the desert while getting a visit from a very unexpected Hyperion head honcho. Eventually, the four meet up and head for Old Haven to solve the mystery they are faced with. Old Haven seems very deserted to them all and Rhys gets to use his bionic eye tech to search for a way to turn the power back on. This is where the short episode comes to an end with an intense cliff hanger that will make you hope Telltale doesn’t take a long time to release the third episode. Graphically this game is beautiful with the clean character designs and cel shaded visuals. 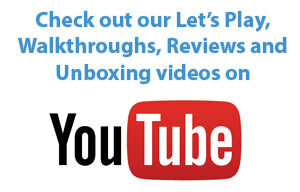 There are a few frame-rate hiccups, but not as many as the first episode had. The voice acting is top notch and has me thoroughly enjoying each conversation I have with every character in the game. The ambient sounds are fantastic and give you that sense of being in Pandora along with the music being a perfect score for this title. 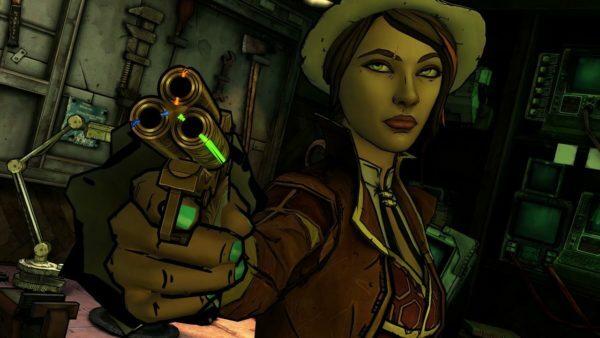 Tales from the Borderlands is a great episodic series and it was painful having to wait for the second episode as long as we did. With episodic games, the next chapter should always be shortly after each one to keep the gamers interested till the end. Even though there are a few frame-rate issues, it doesn’t take away from Telltales perfect vision of Pandora. If you love Borderlands, Telltale games or already have the first episode then there is no reason as to why you shouldn’t buy this.